BEFORE A DRIP BECOMES A FLOOD. The GROHE Sense system monitors humidity, detects water leaks and alerts you. WATER DAMAGE IS THE NR. 1 PROBLEM WITHIN THE HOME! From detecting micro leaks* to detecting a burst pipe* and shutting off the water supply automatically: with GROHE Sense Guard you can finally take full control over your water supply. *A micro leak test is conducted once every 24 hours. Pipe material, volume and other piping system characteristics can impact the result. Micro leak detection is limited to the cold water system in most cases. Combine with GROHE Sense to monitor potential humidity increase over time. **Pipe burst detection depends on the general water usage profile, therefore time-lag to shut-off can vary significantly. During that time water might be disposed. 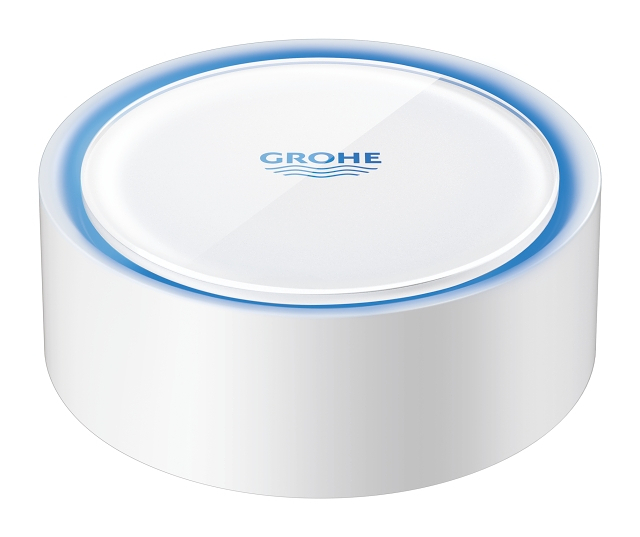 Achieve higher detection speed by combining the installation with GROHE Sense on critical locations. GROHE ONDUS is the app that forms the centrepiece of all connected GROHE products – like the GROHE Sense system. It offers feedback of the situation in your house – from anywhere – anytime. GROHE ONDUS lets you monitor and control GROHE Sense and GROHE Sense Guard.